The image that Johns shared with the announcement is one likely to set a few alarm bells ringing, considering it’s of Watchmen’s Dr. Manhattan—revealed in Rebirth #1 as a potentially malevolent force who’s stolen a decade of memories from the DC universe and seemingly killed the cosmic entity who helped make the New 52. 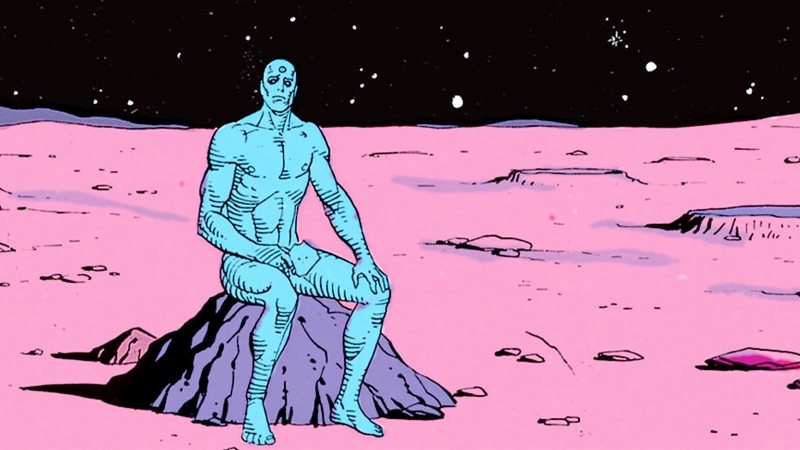 Ever since DC dropped the bombshell that it was integrating Watchmen into the DC universe, they’ve teased a very slow burn with regards to how they’ll approach bringing in the characters from Alan Moore, Dave Gibbons, and John Higgins’ seminal graphic novel into DC’s comics. It looks like, in least some ways, Johns will be part of that slow introduction this year.